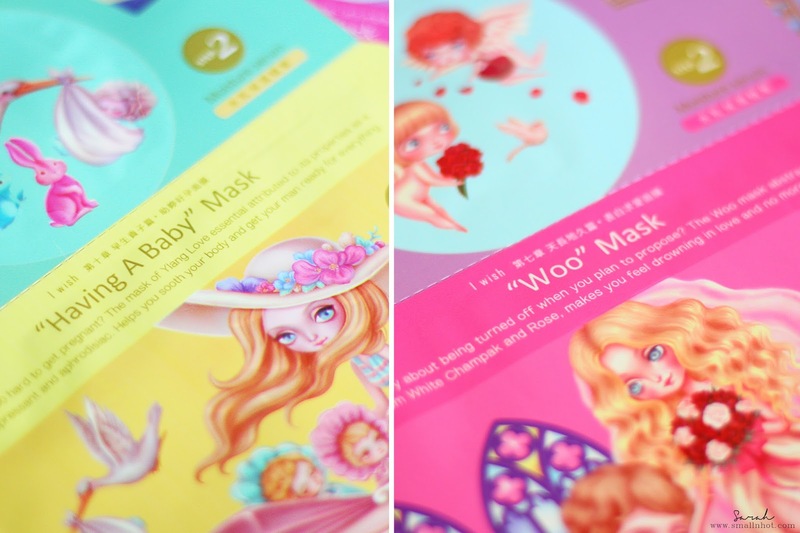 MasKingdom I-Wish Masks - The New Chic in Town ? You'll HATE it if you prefer like bio-cellulose mask or clay mask. 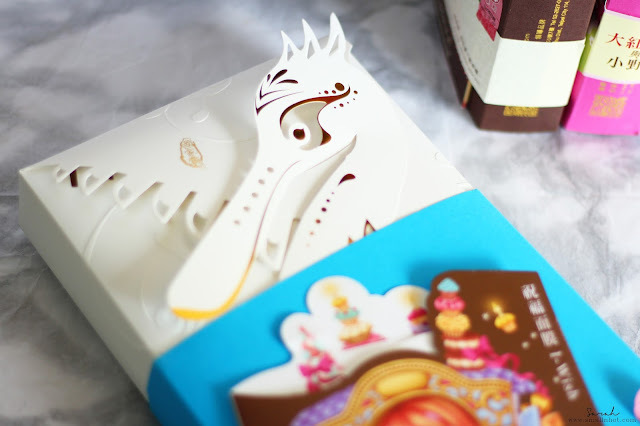 You'll LIKE it if you are a sucker for pretty packaging and enjoy hydrating mask-ing session, providing your skin all the moisture it has been yearning for. MasKingdom is a well-known Taiwanese chic sheet mask brand that combines fashion with cultural innovation, as you can see from their packaging. 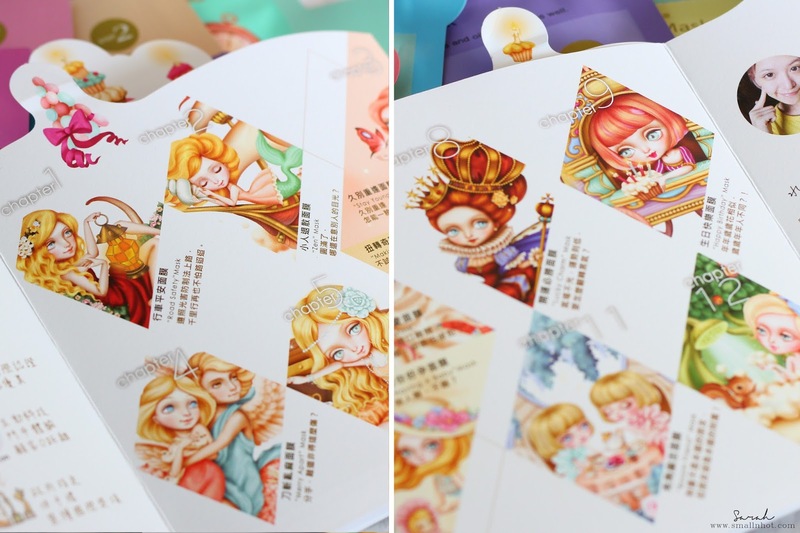 And I do have to admit this is by far the prettiest and fanciest sheet mask packaging I have ever seen and not to mention the name they have for their mask, it's so catchy and interesting too. 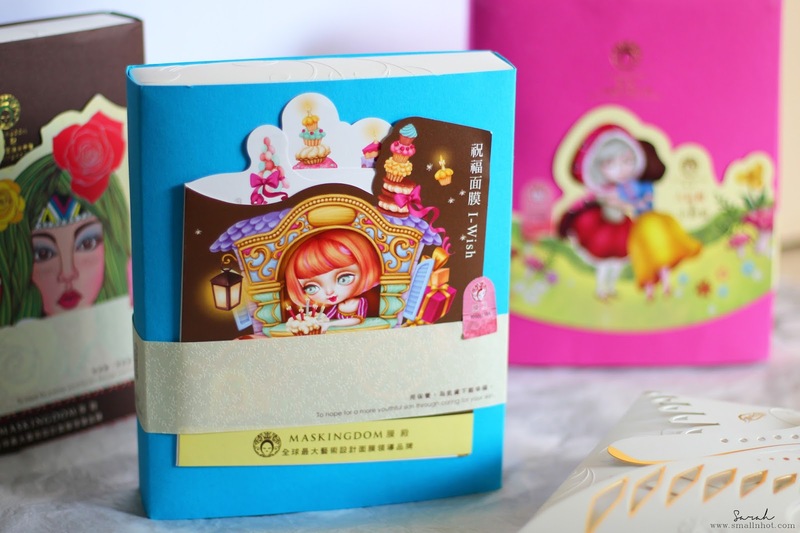 You know how sometimes, skincare could come with the fanciest and most luxury packaging but the content feels quite meh... But not with this box of sheet masks. 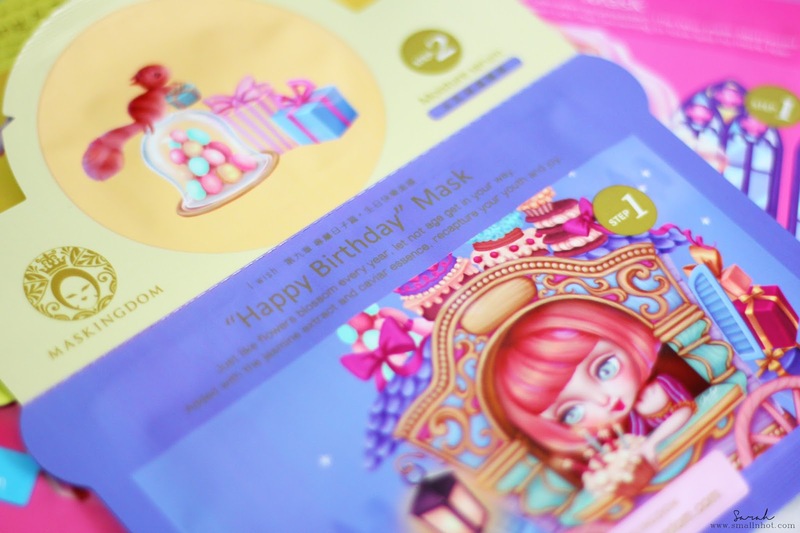 MasKingdom I-Wish aims to feed every needs of your skin, based on your current mood. On my birthday, I had the "Happy Birthday" Mask on. This is the perfect one because it has jasmine extract and caviar essence to recapture my youth and joy (aka anti-aging), reducing fine-lines and sign of ageing. It feels calming on the skin and very gentle, which is good for those with sensitive skin too. As for the smell, it could be slightly strong if you do not fancy the smell of jasmine, but I personally find it pleasant to my nose. And what I do really like about this is the fact that I see immediate results. I don't expect all my wrinkles and fine lines to vanish within 15 minutes of having the sheet mask on, but I do feel and notice that my skin feels plumped up, therefore reducing the look of fine-lines especially on my eye area. Overall, no doubt that MasKingdom I-Wish Mask checked the packaging and design boxes. As for the result ? 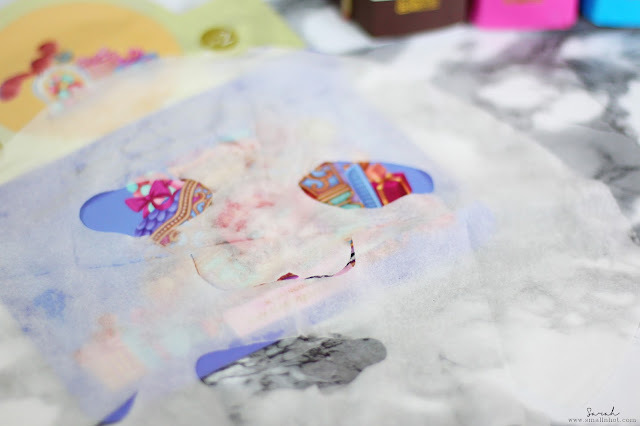 It works as it claims, the anti-ageing sheet mask reduces fine lines, the brightening sheet mask gives me a brilliant complexion and the hydrating sheet mask plumps up with all the moisture my skin needs. These chic sheet masks by MasKingdom certainly come at a premium price-point, but it should be noted that each sheet mask has a step 2 serum alongside with it, so you can literally skip the serum step when you apply this sheet mask on. 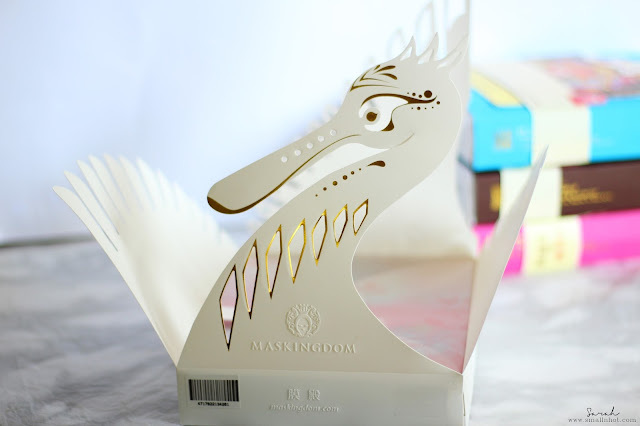 And how could I forget the box that opens up into a black-faced spoonbill, it's unlike any other box of masks I've ever seen or heard of so if you are major beauty junkie or collector or hoarder, this is definitely something cool to get for yourself or a gift for your friends !